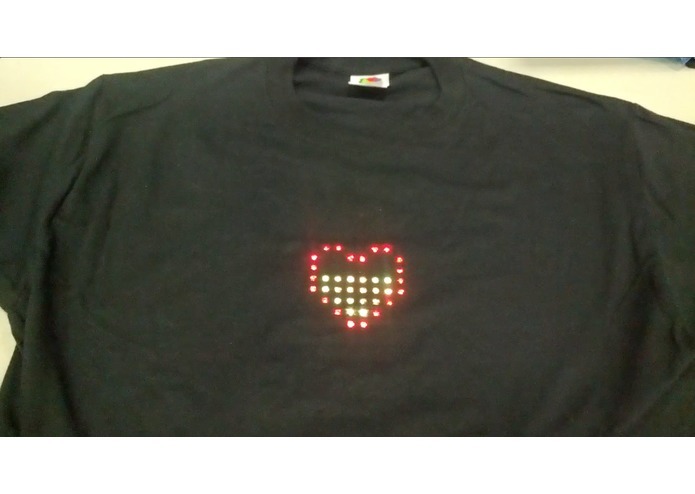 Digital Beat project focuses on sharing your personal health fitness data with others, particularly heart rate data. 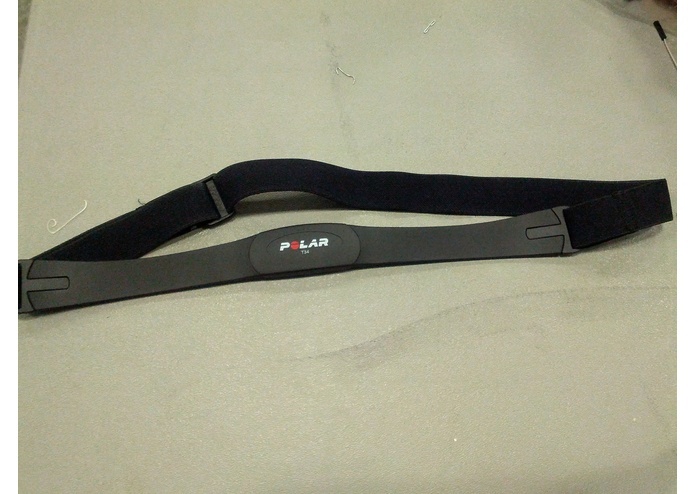 The user wears a Polar T34 heart rate monitor, which feeds data wirelessly to Arduino Uno. 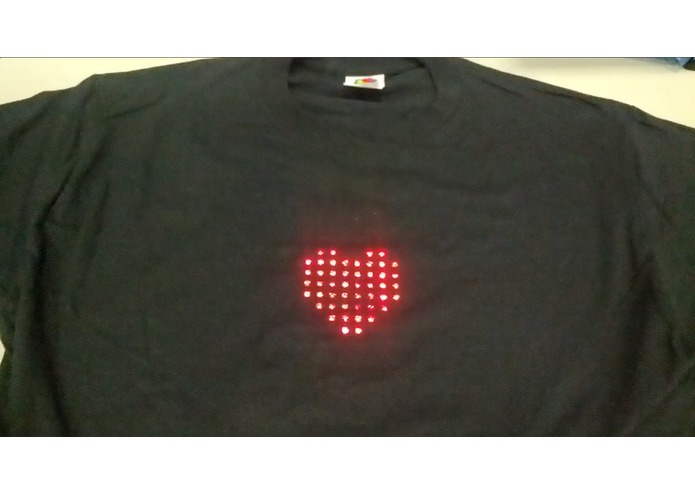 Then, the Arduino picks up the data and then creates visualization output on the LED matrix based on the user's relative performance to the predetermined target heart rate. 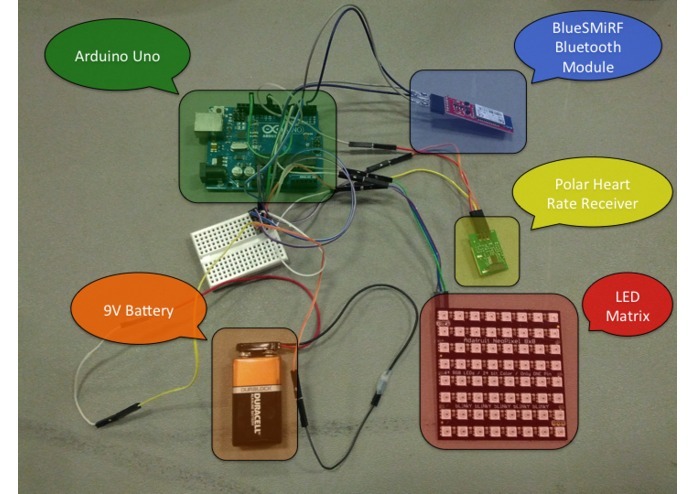 The Arduino is connected to a BlueSMiRF Silver Bluetooth Module, which we interfaced so that the Arduino can communicate to an Android phone. 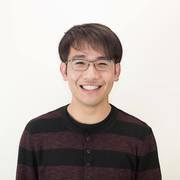 Inside the Android native application, users can set their target rate. Since everyone has a different fitness level and goals, the function of allowing users to set their own goals heart rate allows individuals at all levels to not only challenge themselves in exercises, but also broadens the range of user age-groups. 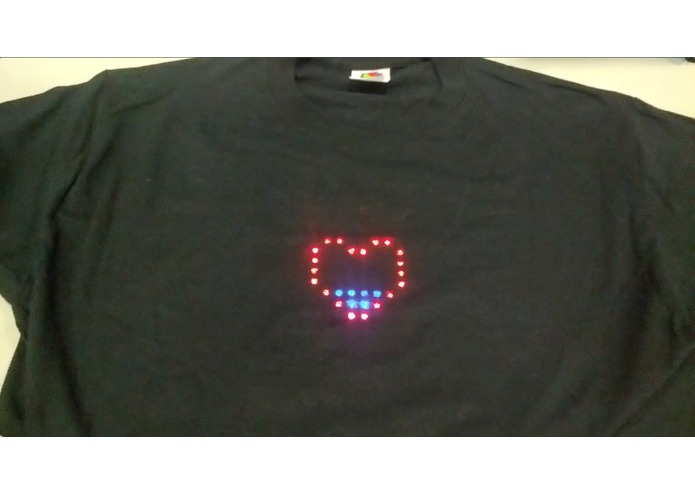 The users who meet their target rates are rewarded by achieving a rainbow-colored heart shape on their LED matrix, which is attached to their t-shirt. Each successive lower level gives different hearts with unique colors. The more the heart is filled, the closer the user is to achieving their target rate. Overall, this project creates motivation to achieve higher in athletics by introducing a visual social component in a clothing. Through the process of gamifying the visual output, the users are given more incentives compared to traditional fitness assistance devices. Digital Beat project potentially has great practical applications including not only social fitness but also in medical areas for patients who have heart-related diseases.